The parent of the disappearing-message app reported a second consecutive quarter of disappointing results. Slowing user growth, more losses and fresh fallout from lousy governance have erased a third of its market value. Spotify and others mulling going public may be scared off. A woman stands in front of the logo of Snap Inc. on the floor of the New York Stock Exchange (NYSE) while waiting for Snap Inc. to post their IPO, in New York City, NY, U.S. March 2, 2017. 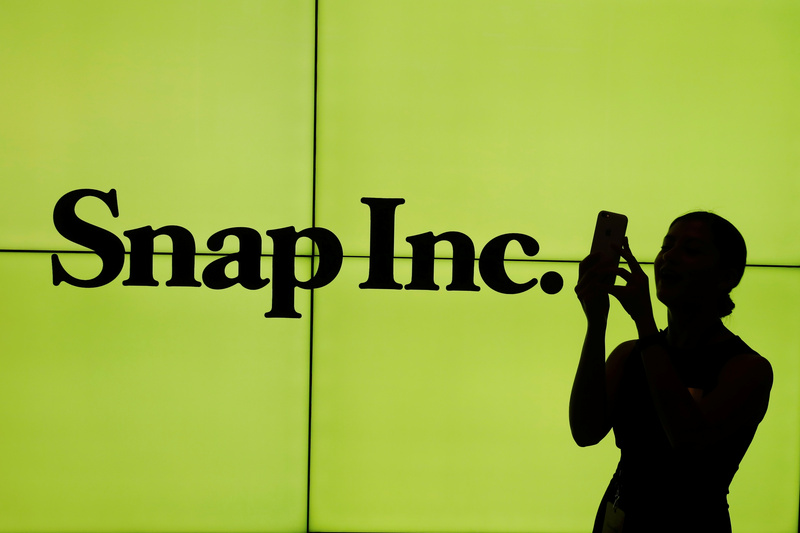 Snap on Aug. 10 reported a wider net loss of $443 million from a year ago even as revenue grew 153 percent to about $182 million. Daily active users increased from 143 million in second-quarter 2016 to 173 million in second-quarter 2017. The growth from the first quarter was 4 percent. The company's shares fell 15 percent in after-hours trading on Aug. 10.